Please join us for an afternoon concert at St Andrew’s Church in Nunton. 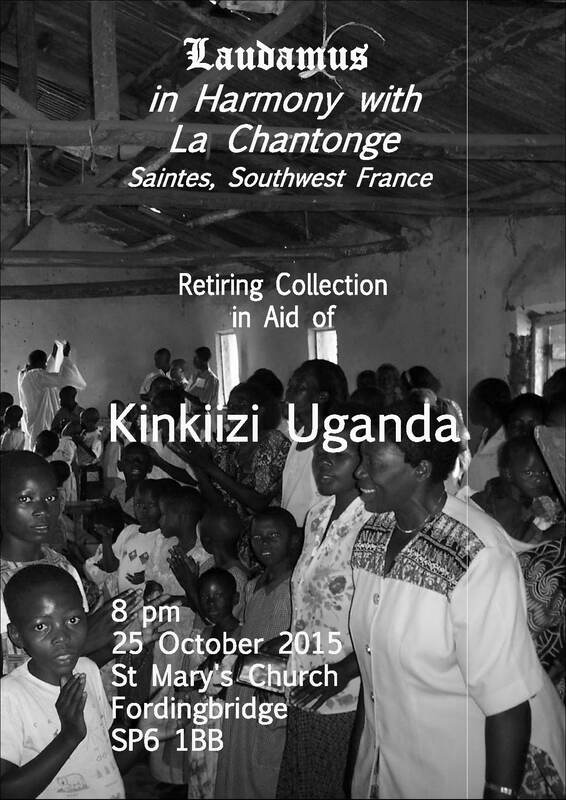 Proceeds from the retiring collection will be shared with the parish. 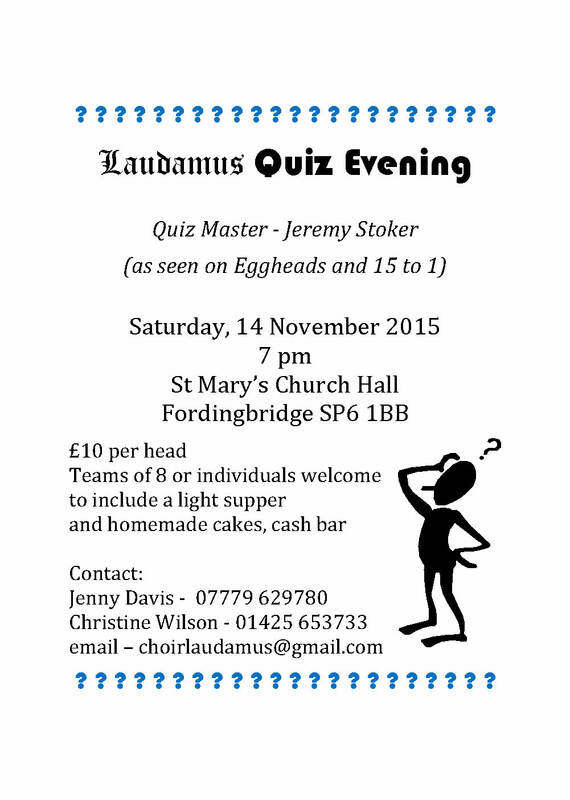 With the nights drawing in and the weather getting chill, come and join Laudamus for a warm welcome to an evening of challenging questions, laughter and delicious food. Devilish questions, delicious food, delightful company – what more could you want on a November evening?